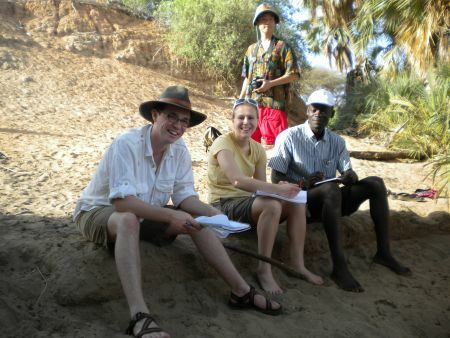 The students under Professor Craig Feibel, study water velocity, depositional and erosional features of the Turkwel river. 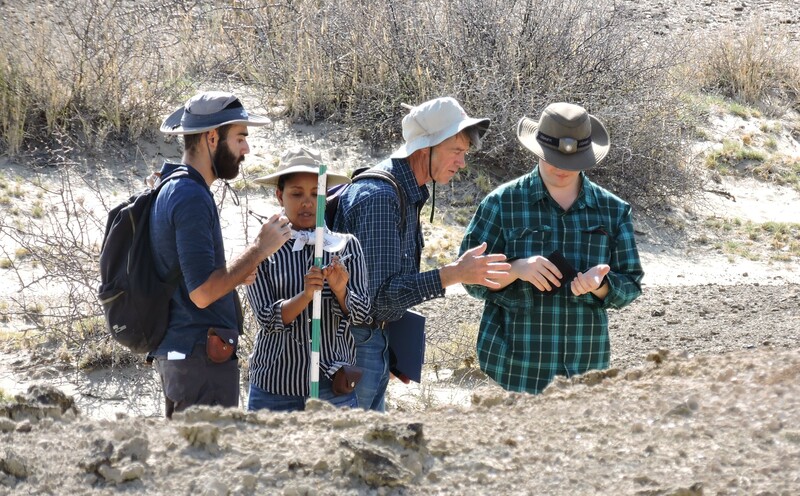 This exercise will help them better understand how the ancient landscapes were sculpted by the Turkwel river over millions of years. Taking place in the river, the exercise was fun because it gave students a chance to cool off! 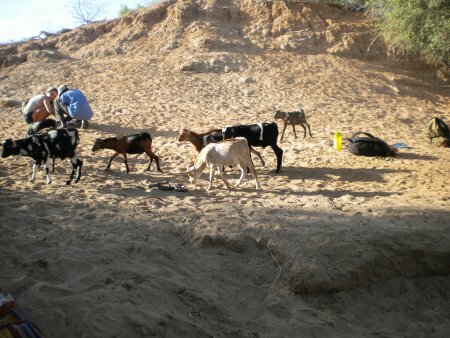 The Turkwel fluvial processes excercise-Joseph Etabu helps a student dry a wet notebook as goats pass by.